Wendy Kawabata. 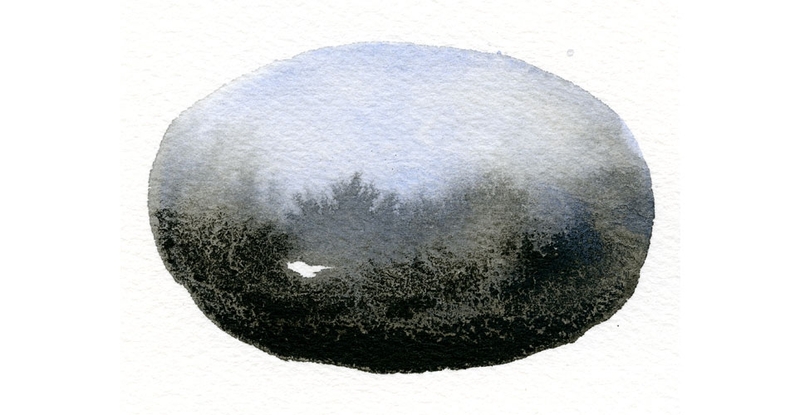 'In The Land (I),' 2015 (series of 17 drawings). Ink and acrylic on paper. Wendy Kawabata. 'Grow In Light,' 2015. Wool, acrylic paint, insect pins. Wendy Kawabata: In the Land features a mixed-media fiber work as well as a series of drawings related to the artist’s experience at a 2011 residency in Iceland. The exhibition presents a visual contradiction, questioning the balance of industry and nature, of manufacturing and making. “Grow in Light began during a residency on the Arctic Circle in Iceland. In that time I both became acclimated to, and resisted the patterns of near constant daylight and a kind of life close to the bone. I took as my starting point the endless fields of the mountain Spákonufell, the pervasive handiwork of the region, and the vulnerability of the land to aluminum smelting. I traveled to this less inhabited corner of Iceland hoping to hear more clearly amid the quiet. Quiet was found but tempered by the identification of land as a potential commodity. The incongruity between wild nature and industry in Icelandʼs highlands left me feeling spare and dislocated. As always with travel, I went looking for something and found something else. These flowers are not something else, or somewhere else. While born from a search for the wild, they have become routine and domestic. In this way, they become the insistence of interior experiences—the constant pressure of something hidden but not forgotten. Wendy Kawabata earned her MFA in studio art at the University of New Mexico and her BFA in Art History at the Massachusetts College of Art. She has exhibited nationally and internationally, including exhibitions in New Zealand and Australia, and is represented by Sanderson Contemporary Gallery in Auckland, NZ. 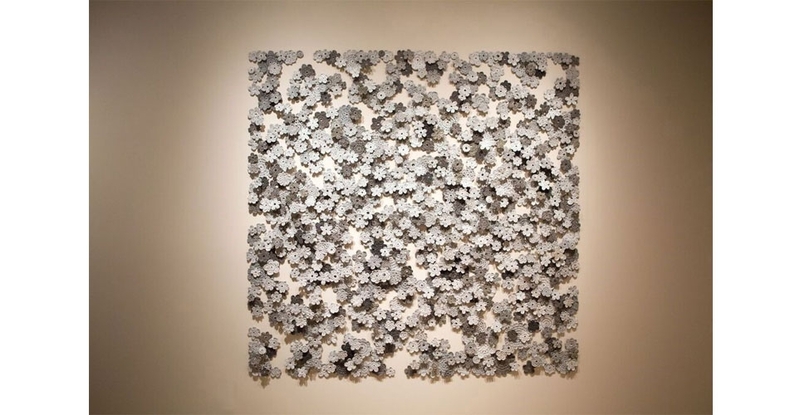 She is the recipient of numerous awards including a Pollock-Krasner grant in 2012. Artist residencies include the Nes Artist Residency in Skagastrond, Iceland, in 2011. She currently serves as the Associate Professor of Art and the Drawing and Painting Area Chair at the University of Hawai‘i at Mānoa. Read about the installation of In the Land on the museum blog.